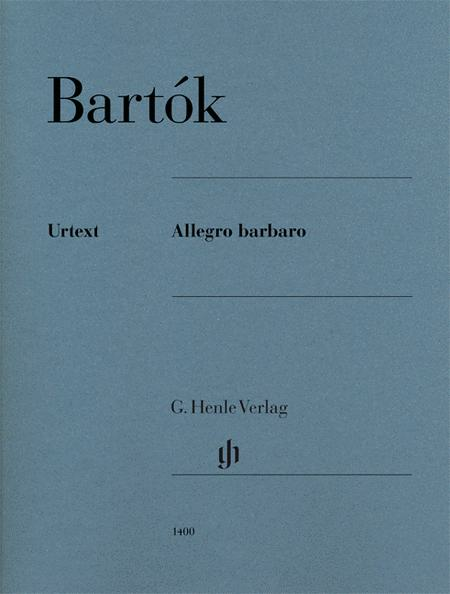 Composed in 1910/11, Bartók's Allegro barbaro is one of his best-known and most popular works for piano. The composer himself enjoyed performing it in concerts, and recorded it several times. The recording from 1929, which he referred to as the ?authentic recording?, contains very interesting divergences from the printed version as far as articulation, tempo and even the number of ostinato measures. 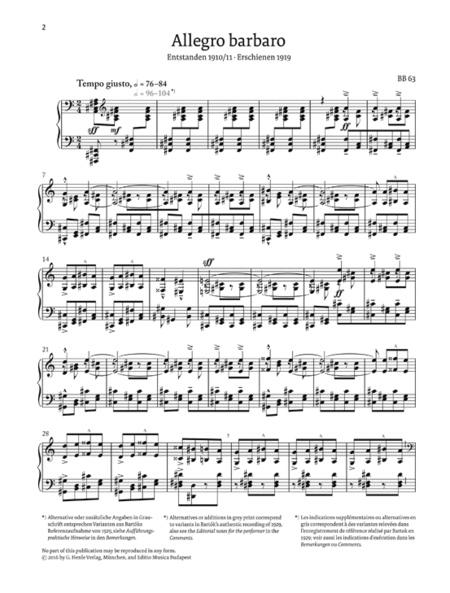 For the first time, these have been included in the musical text of Henle's Urtext edition, and also annotated. With this first Bartók Urtext edition, László Somfai gives an insight into the many and varied musical impulses awaiting us in the Béla Bartók Complete Critical Edition, which will be jointly published by Editio Musica Budapest and G. Henle Publishers in 2016.